Coral mushrooms, also known as crown-tipped coral, are one of the most visually exotic wild mushrooms around. 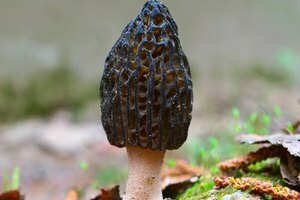 They're in season from June to September and are only available as a foraged fungi. 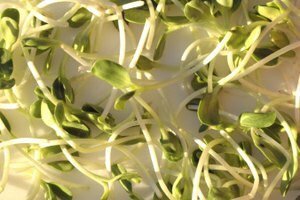 You can sometimes buy them in specialty grocery stores, but they are more commonly found at farmer’s markets. Coral mushrooms can be sauteed, pickled or used in soups. While coral mushrooms are safe to eat cooked or raw, too many can cause an upset stomach, so eat them in small quantities. 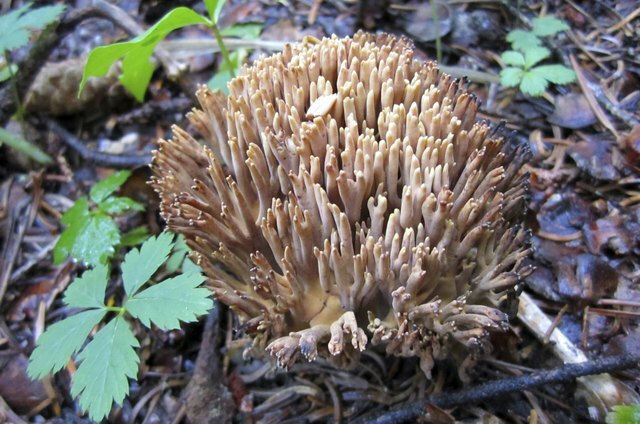 Coral mushrooms are have long, thin, upward reaching stalks that are topped with a small crown shape. These tubular fungi are yellow-tan in color, but as they age, the yellow becomes more pronounced, and they may develop a slight pink tinge. Only white, beige or yellow coral mushrooms are edible. If you forage your own coral mushrooms, avoid any brightly colored mushrooms, and look for corals growing on dead wood. However, it's best to buy coral mushrooms from a reputable seller, as it's easy to mistake deadly mushrooms for safe ones. Like with other mushrooms, avoid coral mushrooms that have started to brown, darken and discolor. They turn mushy as they rot, developing a slimy texture. As coral mushrooms age after harvest, they develop a funky smell, a bit like dirty socks, and while they're still safe to eat, they're best discarded. Coral mushrooms have a peppery taste that only becomes apparent after a few seconds after eating. As they are very delicate, the mushrooms cook very quickly, and they soften and wilt soon after being heated. This makes coral mushrooms well suited for sauces and soups, or, because of their distinctive appearance, to be used as garnish. Coral mushrooms can also be pickled. To make a coral mushroom salad, separate the mushrooms into small clusters, mixing them with other pieces of similarly sized vegetables, such as baby lettuce and halved cherry tomatoes. Dress the salad lightly with a vinaigrette, tossing gently with both hands. 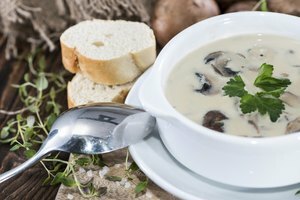 Do this just before serving, as dressing too early can cause the mushrooms and lettuce to wilt. To use coral mushrooms in soups drop small clusters of the mushrooms directly into piping hot bowls of soup. Like with the salad, do this just before serving so they retain their shape. Coral mushrooms, because of their delicate texture, work best with broth-based soups, such as miso soup. Bring dashi stock to a rolling boil, add in the other miso soup ingredients -- miso paste, tofu, soy sauce and mirin -- and portion into serving bowls. Add the coral mushroom clusters just before sprinkling shredding green onion onto the bowls. To make pickles, bring the pickling liquid to a rolling boil. Use either leftover pickle brine or your own blend, such as a mix of vinegar, salt, garlic, pepper and water. Once boiling, turn off the heat and pour the pickling liquid into sterilized jars. Fully submerge the mushrooms in the liquid. Their delicate nature means they don't need to be cooked prior to being jarred. Store pickled coral mushrooms in the refrigerator for upwards of six weeks. Coral mushrooms are best eaten fresh, as they don't take well to dehydration. 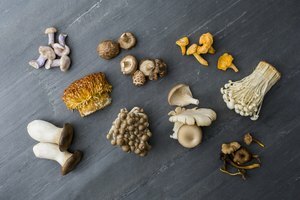 Stored in a breathable bag, such as a paper bag, in the fridge or a cool place, the mushrooms can keep for several days. Never store the mushrooms in a plastic bag as this turns them soggy and slimy. If storing longer term, place the mushrooms in a plastic container that just holds the mushrooms, sealing the top with plastic wrap. Poke holes in the top of the wrap to allow air and moisture to escape.